The Supreme Court will decide whether the Constitution’s double jeopardy bar allows state and federal prosecutors to bring charges for the same offense. The case is of significance to the Mueller probe, as states like New York have explored bringing charges against Trump associates under state law who the president might pardon. The high court heard arguments in the case Thursday. The Supreme Court appeared skeptical Thursday of overturning an exception to the Constitution’s double jeopardy prohibition, which allows state and federal prosecutors to bring successive prosecutions for the same offense. The case is carefully followed in Washington because of its potential ramifications for special counsel Robert Mueller’s investigation. “The notion that the federal government would step in and prosecute a defendant after a state jury acquitted him of the same offense would have shocked the founding generation,” one of the briefs at the high court reads. Thursday’s case arose in Alabama, when Terence Gamble was arrested during a 2015 traffic stop after police recovered two baggies of marijuana and a 9mm handgun from his car. State prosecutors charged Gamble, a convicted felon, for illegal possession of a firearm. A federal charge for the same crime followed. The so-called separate-sovereigns doctrine allows state and federal courts to prosecute individuals for the same offense, double jeopardy notwithstanding. The question in Thursday’s case was whether that rule should be overturned. That move could hinder the Mueller probe, should President Donald Trump choose to pardon aides and associates who the special counsel has since indicted. Since the president can only issue pardons for federal offenses, a handful of states like New York have taken steps to bring their own cases against Trump associates for violations of state law. If the separate sovereigns doctrine is struck down, Trump’s pardons could ensure his embattled confidants are protected from legal consequences. 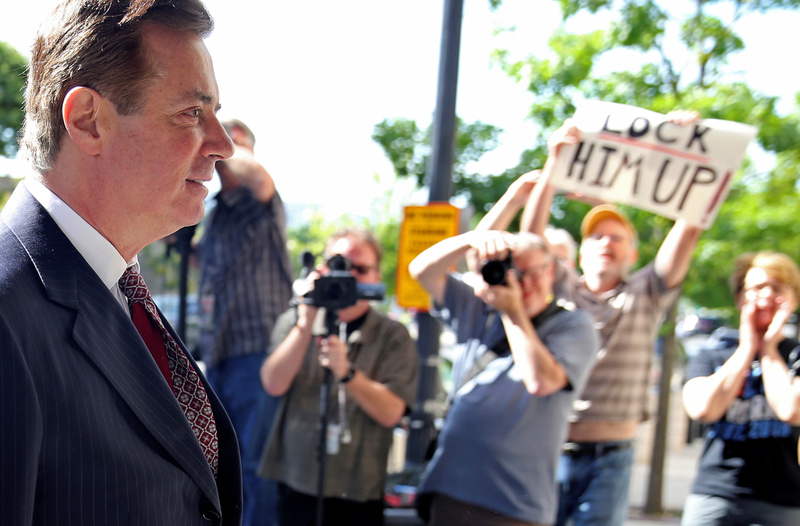 Trump has said as recently as Nov. 28 he has not ruled out the possibility of a pardon for Paul Manafort, his former campaign manager who has since been convicted of fraud and lying to federal investigators. At least two members of the Supreme Court — Justices Clarence Thomas and Ruth Bader Ginsburg — have criticized the doctrine in the past. However, Thursday’s argument suggested the rule would ultimately stand. Justice Elena Kagan told Gamble attorney Louis Chaiten that she preferred to maintain the rule given its long history. “This is an 170-year-old rule, and it’s a 170-year-old rule that’s been relied on by close to 30 justices have voted at one time or another specifically for this rule,” Kagan said. Justice Brett Kavanaugh also pressed this point. “As Federalist 78 points out and as Justice Kagan points out, it’s a doctrine of stability and humility that we take very seriously,” Kavanaugh said. “Of all the errors this Court has made over the years why should we care about this one?” he asked, in a bid to get Chaiten to further develop his answer to Kagan and Kavanaugh. The justice noted there are currently over 4,000 federal statutes and hundreds of thousands of regulations, a far wider body of federal law than the founding generation anticipated. As such, there are vastly more opportunities for duplicative prosecutions than there were in the past. A coalition of civil rights groups filed amicus (or “friend of the court”) briefs urging the justices to maintain the rule and argued it is essential for effective civil rights enforcement. Several justices shared this concern, in view of the sad history of hates crimes defendants who received lenient sentences in state courts. The justices also diverged as to how federalism, or states rights, should bear on their decision. “We have dual sovereigns. That means dual regulation. And dual regulation often means dual punishment,” Kagan said. Ginsburg disagreed and said the purpose of federalism is to secure and promote individual rights. “Federalism is usually invoked because it’s a protection of the liberty of the individual, but here the party being strengthened is not the individual, it is the state’s freedom and the federal government’s,” she said. Texas Solicitor General Kyle Hawkins argued for 10 minutes on behalf of some 30 states urging the court to maintain the doctrine.